Barry Judd is a descendent of the Pitjantjatjara people of north-west South Australia, British immigrants and Afghan cameleers. He is a leading Australian scholar on the subject of Aboriginal participation in Australian sports. Barry's main research interest is in issues about identity – what kind of Australian identities have been formed out of the colonial contact between Aboriginal and non-Aboriginal peoples in Australia. 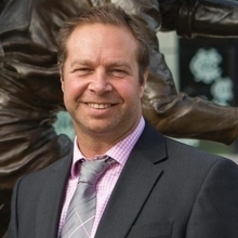 His research focuses on Aboriginal people in sport as a way of engaging the broader population in difficult questions around the place of indigenous people in Australian society. Barry is a member of the National Indigenous Research and Knowledges Network (NIRAKN). He is interested in the social impact of Australian Football on Indigenous Australia; explorations of Australian identity and the process of cultural interchange between Indigenous and non-Indigenous peoples; constructions of Australian citizenship and Australian nationalism; Aboriginal affairs policy and administration.